“Carmin Tropical” wasn’t quite the movie that I expected it to be. The short description in the festival guide had me believe that Mabel left her hometown still as a common man, and thus now – when she comes back in order to investigate her friend’s death – she has to deal with their reactions to her transformation, adding another layer to the underlying murder mystery. Which is not what this is. She already left a “muxe”, and at least within her friends and family, her change doesn’t seem to be that big of a deal. Now, the fact that I didn’t quite get what I expected in itself isn’t that much of a problem. I always do my best to leave my expectations out of the movie theatre. Unfortunately, though, the movie that I ultimately got ended up far less interesting than the one that I had in my mind going in. There just isn’t that much interesting stuff going on here, and I was especially disappointed to see that Mabel’s life as a “muxe” in Mexico hardly gets addressed at all. Ultimately, “Carmin tropical” isn’t dramatic enough for a drama, not thrilling enough for a thriller, and not mysterious enough for a (murder) mystery. Especially the latter hurt the movie considerably, since its revelation was far too obvious far too soon for me. When the identity of the killer finally is revealed, it’s done so in a flashback that seems to go on forever, overexplaining something that has already been crystal clear to me anyway. The constant short flashes of her walking through the corridor (setting up the very last scene of the movie) also got on my nerves quickly. Ultimately, though, what broke “Carmin Tropical”‘s neck was the extremely unsatisfying, open ending. It’s only just saved by the nice idea behind it, which I really appreciated, the unconventional choice of lead protagonist, a nice performance by José Pecina, and mostly the fact that with a running time of 80 minutes, it’s short enough to never get boring. Nevertheless, I feel that this could have been so much more than what we ultimately got. 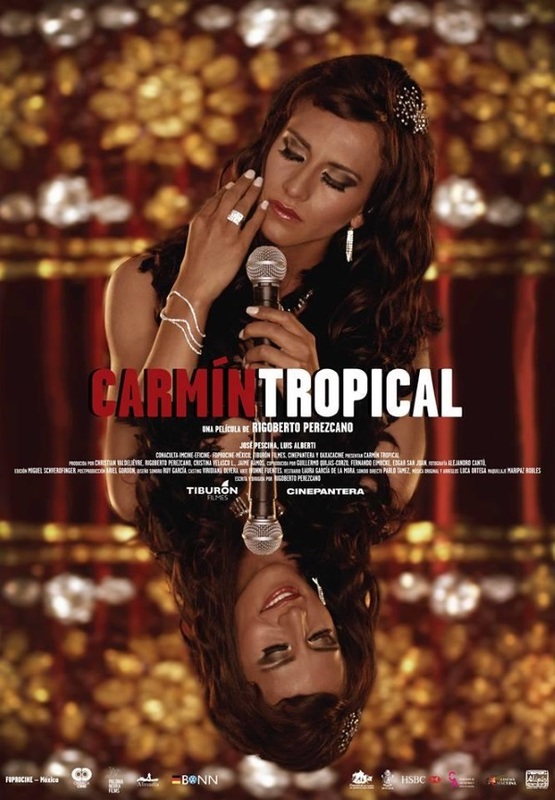 This entry was posted in cinema 2015, movie reviews, new releases, Viennale and tagged 2015, Carmin Tropical, drama, José Pecina, mexico, Rigoberto Pérezcano, Viennale, Viennale 2015. Bookmark the permalink.